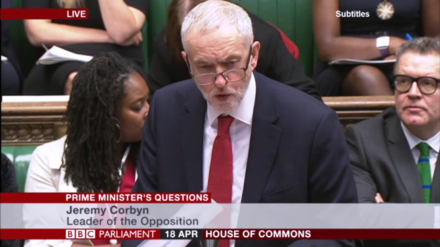 At Prime Minister’s Questions today, Jeremy Corbyn said Theresa May “brushed off” the case of Albert Thompson when he originally raised it with her in March. 63-year-old Albert Thompson was denied access to the NHS for cancer treatment despite living and working in the UK as a taxpayer after arriving from Jamaica as a child. May went on to confirm that he will be receiving the treatment he needs from the NHS. However, Guardian reporter Amelia Gentleman later tweeted that Thompson has not been informed of this development.